To view/print an employee's annual leave entitlement at a particular date, simply select the Employees tab. Untick the employees you do not wish to print the summary for and select the ‘To date’ you require. 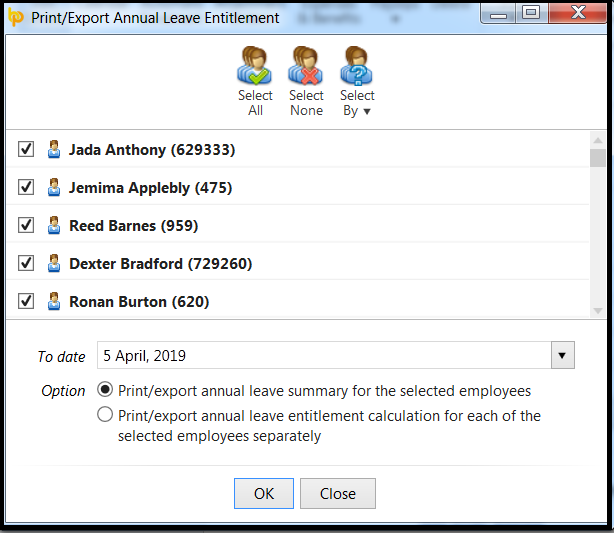 To view/print annual leave entitlement reports for multiple employees at a particular date, simply select the Employees tab. Simply select the employees whose leave entitlement you wish to view or print and select the ‘To date’ you require. 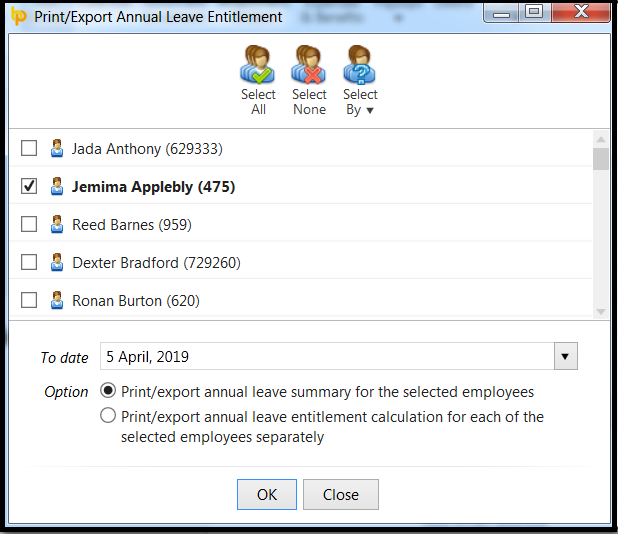 Select whether you would like to view/print an annual leave summary for the selected employees or whether you would like to view/print separate annual leave entitlement calculations for each of the selected employees.